We are dealing in Pigeon Hole Racks. We are engaged in manufacturing of Pigeon Hole Rack that is fabricated using unbeatable quality of steel that is procured from the reliable vendors of the industry. The partition plates are provided to bolt the panels that enable to make compartments in the rack. Back and side sheets are also available with these racks. 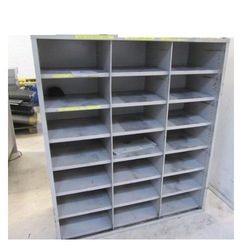 18 pigeon hole cupboard with 18 individual compartments store industrial components, and main door with lock, made out of 20/22g MS sheet. Size: standard and make to order. 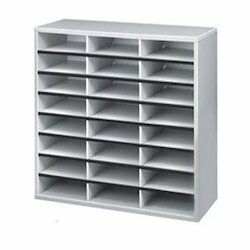 We are offering Pigeon Hole Storage Racks to our clients.